Medical insight, personal stories by urologist with cancer. The Decision: Your prostate biopsy shows cancer. Now what? 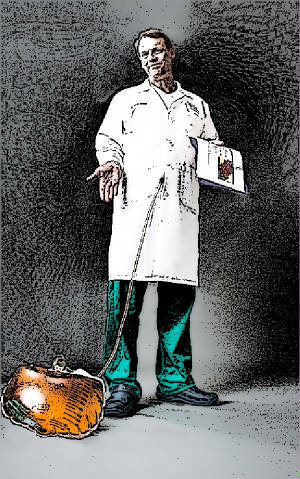 Medical insight, personal stories, and humor from a urologist who has been where you are now. Is there value added that this book was written by someone who treats the disease and also has it himself? Does the following sound familiar? I had been checking my PSA for years and had watched it slowly creep up to just above normal. I decided to obtain a Free and Total PSA to see if it would offer any guidance regarding pursuing a biopsy. (In your blood, a portion of PSA is free (unbound), and a portion is bound by blood components. A low Free PSA indicates a higher possibility of a positive biopsy.) The day after my blood was drawn, my nurse Tina approached me with the lab report indicating a very low Free PSA. She had drawn a frowny face next to the lab value. I was crestfallen." 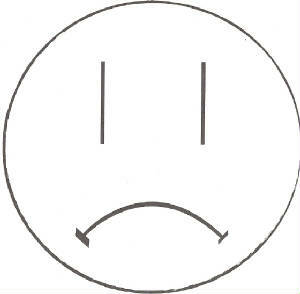 Tina, did you really have to put the little unsmiley face on it?" I decided at that moment that time had come for me to have a prostate biopsy. I asked one of my partners to do it at lunch that very day, and the pathologist had the tissue samples in his hands by 1:30 p.m. The waiting began and my new life as a patient commenced. The luck factor: Whether you elect to have radiation or surgery, how well you do depends a lot on just plain luck. 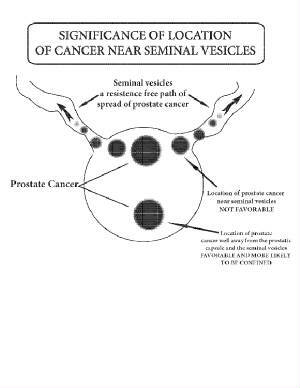 If you choose surgery, you are lucky if: Upon reviewing the final pathology report, all the cancer was confined to the prostate with no seminal vesicle involvement, the Gleason score is predominately 6, and the volume of your disease is low. If the volume of your disease is small, but the location involves the seminal vesicles, then your likelyhood of local spread increases and your chance of cure decreases. It is purely a luck thing; as they say in business: location, location, location. If you choose radiation, you are lucky if: Your body responds minimally to the deleterious effects of the radiation from both the voiding and erectile function aspect, your PSA goes to .5 or lower and stays there, and there are no long term radiation issues down the road. I had seen my surgeon only twice, once before the surgery and then during my hospital stay after surgery. During the first meeting and after introductions, he asked me if I wanted to know any of the particulars of how he performed a robotic prostatectomy. I said, "No." He then asked, "Do you want me to do the lymph nodes?" I said, "No. I just want to be lucky and for you to have a good day." I added, " I do need directions to the hospital from interstate I-85." On the back of a paper bag at the kitchen table, I drew a picture of my biopsy report to show my wife that only a small amount of cancer had been found and that I should do well with a good chance of cure. I remember being a little emotional talking about it and trying to be up-beat so as not to alarm her. I worried that if she saw my distress, it would cause her to be distressed too. After all, I am the breadwinner, father of our children, and her companion for almost 30 years. As I worried about upsetting her with all this information, she picked up the pencil and began to peer at the diagram I had made. 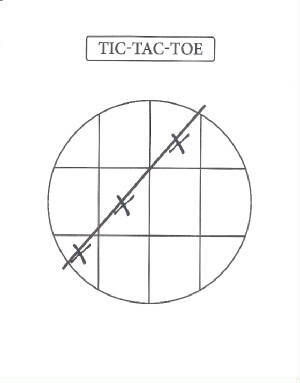 She put another positive area on the picture I had just drawn, then a line through the three areas, and said, “Tic tac toe, John.” We stared at her handiwork almost mesmerized, and then she looked up at me and smiled. I thought at the time that I had done a good job of allaying her fears, but in retrospect, maybe she sensed something in me that prompted her to allay mine. Wives are smart that way. 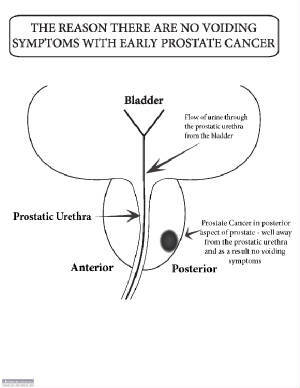 A patient and friend who was 49 asked me at a party when he should have his prostate checked. I said that the blood work and exam could be done in less than five minutes. I told him he could come by anytime at the end of his work-day through my office’s back door, and I’d do the exam for free. He said that he was having no symptoms. I said that having no symptoms is irrelevant. He then told me he had had a colonoscopy and asked if that checked the prostate. I said no, that was a different organ. He said, like most people, “Isn’t prostate cancer a disease of old men?” I said, “No,” and mentioned that Frank Zappa died in his 50s, three years after the diagnosis of prostate cancer, adding, “It’s a painful death.” I made the point that it would be prudent for him, even at age 49, to be checked. My friend then said, “but Frank Zappa had a bad lifestyle.” I replied that lifestyle was irrelevant as a risk factor for prostate cancer. In the matter of a two-minute conversation with this college-educated friend, he had verbalized almost all the half-truths regarding prostate cancer. He confirmed to me yet again why prostate cancer is sometimes diagnosed late, and revealed to me another damaging half-truth I’d never heard before: the “But I don’t have a bad lifestyle” objection to having a rectal exam.